Elizabeth Shay of Pocatello, Idaho, is very lucky to have Paul Shay as her grandfather. Paul built Elizabeth a canoe of her very own, a 10′ Nymph designed by Nick Schade. Paul relied on Schade’s book, Building Strip-Planked Boats, which is available from The WoodenBoat Store, in the cedar-strip construction of Elizabeth’s canoe. 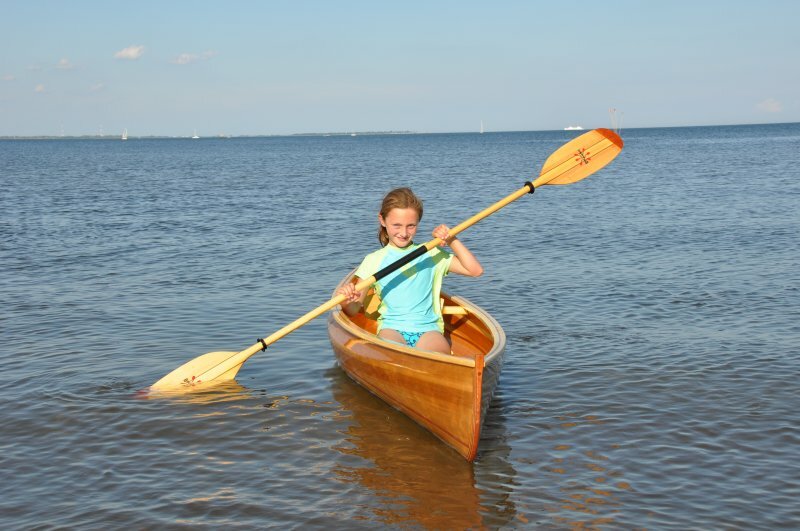 You can see how happy she is here to be paddling on Long Island Sound after the canoe’s launch.